For some serious space to call your own on your next trip to London, consider renting an exclusive, serviced apartment in a high-end location. The Elvaston Elegance offers exactly that; with 3 bedrooms, 2 bathrooms and 124 square metres of space located in South Kensington. 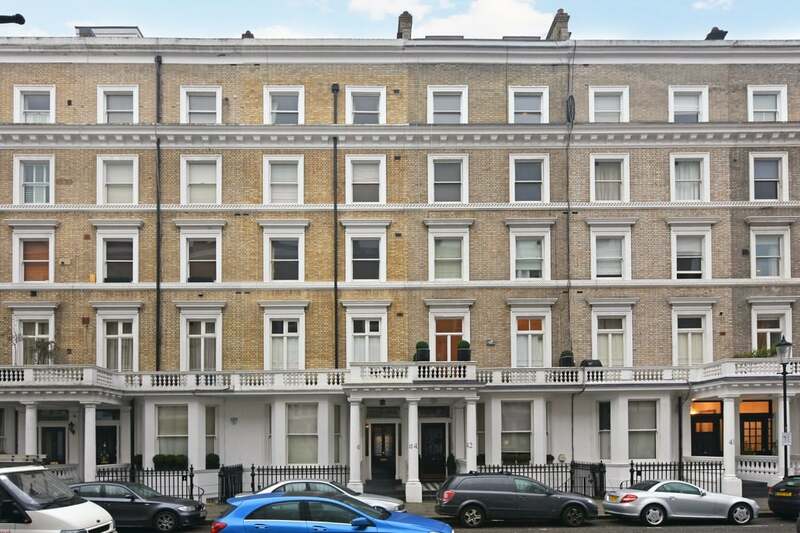 The apartment is centrally located in South Kensington, London, just 4 minutes’ walk from Gloucester Road station and very close to most of London’s main museums – the Natural History Museum, Science Museum and Victoria & Albert Museum. South Kensington is one of the more exclusive residential areas of central London and it’s really not hard to see why. 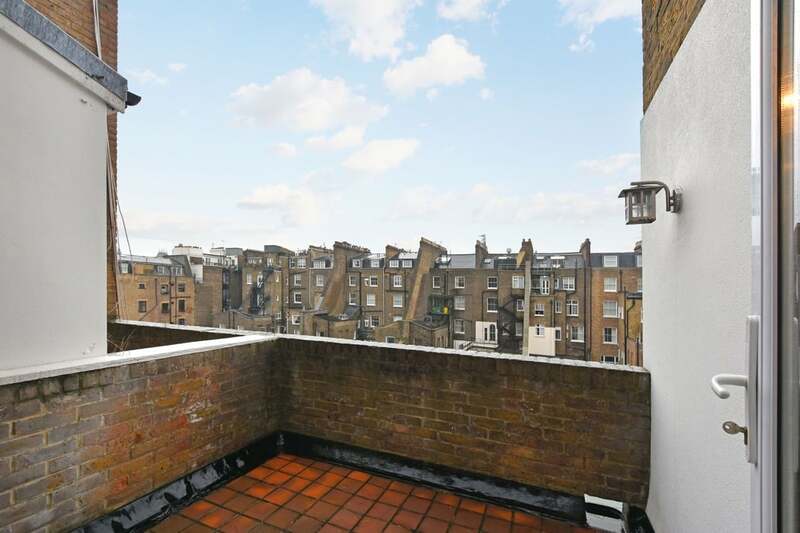 The immediate area around your apartment; between Cromwell Road, Kensington Gardens and High Street Kensington; offers attractive garden squares, a range of individual shops, restaurants, coffee shops, supermarkets and more. You are also within walking distance of Hyde Park, the Royal Albert Hall and High Street Kensington, one of the premier shopping streets and Kensington Church Street, where you can find a range of unique art, antique and other shops. For serious shopping, some of the best stores in London are just a short walk away in Chelsea and Knightsbridge. Set on the 4th and 5th floors of a gorgeous Georgian terrace building, this elegant apartment was recently refurbished and is appropriately decorated to match its chic location. The apartment includes a very spacious lounge and dining area with a very large ‘L’ shaped sofa, a dining table for 6, flat screen TV and Freeview channels. 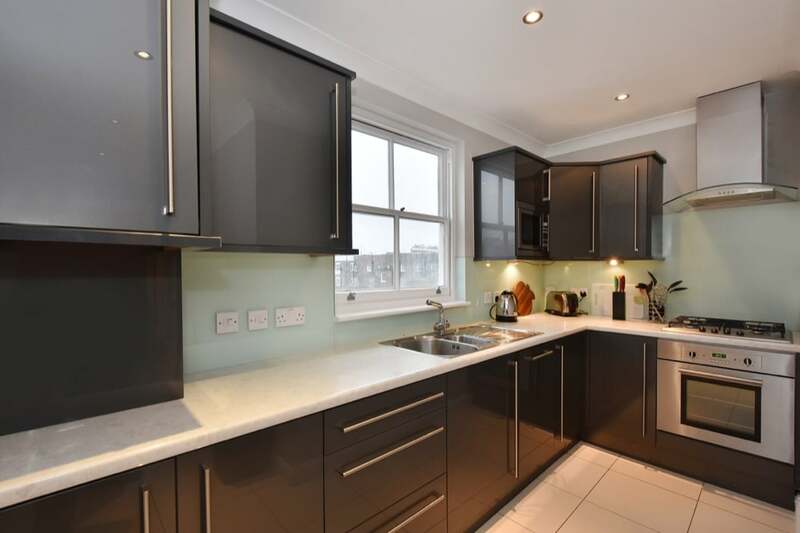 There is a fully-equipped kitchen with everything that you may need for your stay, including an oven, large fridge/freezer, dishwasher, microwave, washer/dryer; there is even an attractive balcony in the kitchen which overlooks Petersham Mews. Free Wi-Fi is available throughout the apartment and housekeeping is included on a weekly basis but can be provided more frequently for a small supplement. The apartment is managed by London Lifestyle Apartments who offer airport transfers, will meet you at the property and give you a tour, they are more than happy to furnish you with tips of local restaurants and are on hand during your stay should you need anything but also, being in an apartment gives you the space and freedom to come and go as you please. All of the bedrooms are particularly bright and welcoming; they are located on the upper level (5th floor) which is reached via an attractive spiral staircase. 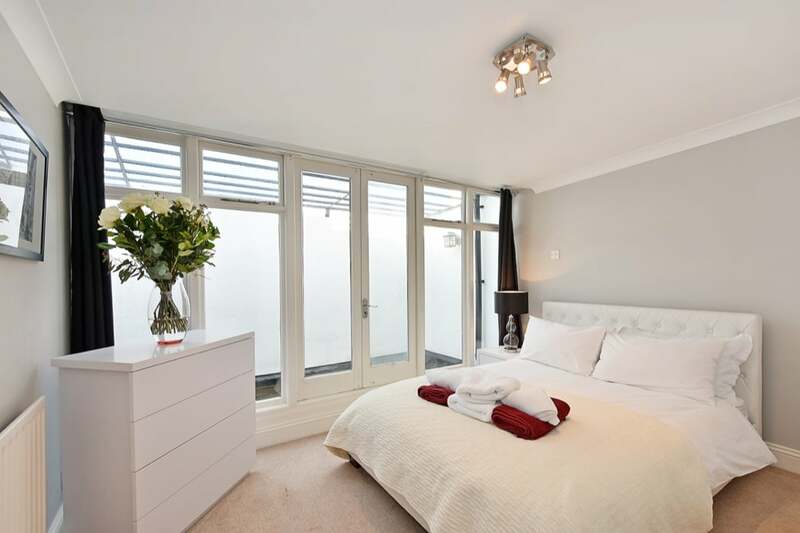 The bright, spacious master bedroom has a comfortable King Size Bed and looks out over a narrow terrace. Its’ very large ensuite bathroom includes a bath tub with rain shower over. The second and third bedrooms both have Queen sized beds and stunning floor to ceiling windows with doors leading out onto an entirely private terrace which they share. The rooms also share a spacious bathroom which includes a bathtub and shower. Luxurious Egyptian Cotton bedding and high-quality towels are provided. The apartment comfortably sleeps 6, plus a floor mattress can be provided with bedding for a 7th guest if required. There is a Waitrose supermarket just 4 minutes’ walk away in the small shopping mall by Gloucester Road station. Gloucester Road itself has many restaurants and coffee shops and a little further down the road, you can find The Hereford Arms – a very atmospheric pub. Walk a little further to the area around South Kensington station and you will find yourself truly spoilt with a wide range of restaurants offering every kind of cuisine imaginable.